A test strategy is presented which makes use of the information got from OO analysis and design documents to determine the testing levels (unit, integration) and the associated test objectives. It defines solutions for some of the OO testing issues: here, emphasis is put on applications which consist of concurrent objects linked by client-server relationships. 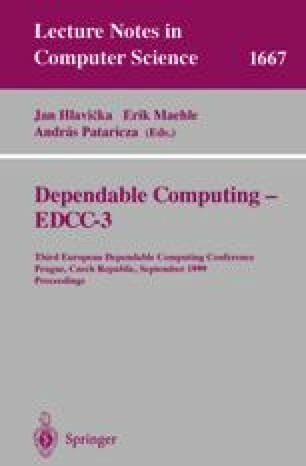 Two major concerns have guided the choice of the proposed techniques: component reusability, and nondeterminism induced by asynchronous communication between objects. The strategy is illustrated on a control program for an existing production cell taken from a metal-processing plant in Karlsruhe. The program was developed using the Fusion method and implemented in Ada 95. We used a probabilistic method for generating test inputs, called statistical testing. Test experiments were conducted from the unit to the system levels, and a few errors were detected.